St. Clair Software Blog » Blog Archive » AppleInsider agrees: Default Folder X is a must-have! « App Tamer 2.4 hides idle apps, makes its CPU usage graph optional, and more! AppleInsider agrees: Default Folder X is a must-have! Default Folder X earned a spot in AppleInsider’s list of Top 5 Utilities that Every New Mac User Needs! 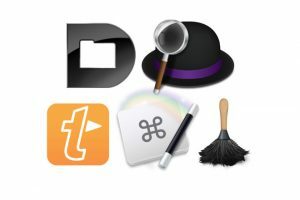 Thanks to the folks at AppleInsider, and we couldn’t agree more, especially with their picks of TextExpander, Hazel and Keyboard Maestro too! This entry was posted on Thursday, July 19th, 2018 at 10:28 pm	and is filed under Default Folder X. You can follow any responses to this entry through the RSS 2.0 feed. You can leave a response, or trackback from your own site.